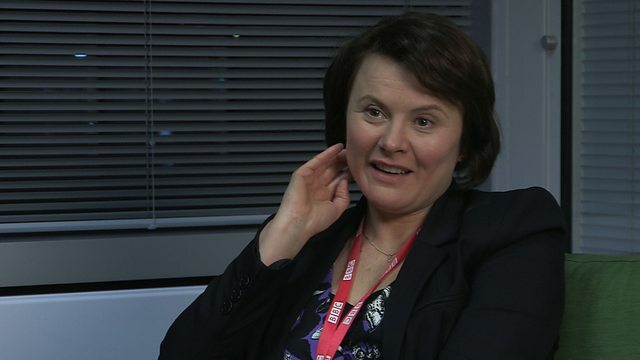 …but I didn’t find Monica Dolan’s Welsh accent in W1A that offensive! W1A is a mockumentary of the workings of the BBC which was broadcast on BBC Two in March 2014. It’s a comedy programme that is a sequel to the Olympics mockumentary Twenty Twelve. The programme revolves around various heads of departments who have to deal with production disasters, representation issues and how to prove the BBC’s value to audiences as a public service broadcaster. One of these heads of department is Senior Communications Officer Tracey Pritchard played by Monica Dolan. The controversy surrounding this character is that Tracey Pritchard is Welsh and Monica Dolan is from Middlesborough. Following the first episode, WalesOnline, the website for the Media Wales group, posted an article claiming that Dolan’s accent could be considered the worst Welsh accent ever and that the character should have been played by a Welsh actress. Should this mean that actors should not attempt accents and restrict themselves to only performing characters of their local region? In my opinion, Dolan does a fairly good Welsh accent. I don’t think that actors should be limited because they are not from a specific place. Being able to do different accents demonstrates talent and versality. It’s also interesting to note that when Welsh actors who appear on network television as English characters, such as Aneurin Barnard as Richard III in The White Queen, the Welsh news media will happily celebrate their success and omit that they are not necessarily representing Wales! I think some of their views were bolstered by the fact that the first episode focused primarily on the under-representation of a region (Cornwall) and David Tennant’s commentary that Tracey was only there because she was Welsh. I can understand WalesOnline’s concern over a non-Welsh actress in a narrative that focuses on regional-under-representation. Having studied a module called Media and Culture in Wales, I have become aware of how invisible Wales is in any genre on network television. Monica Dolan, whether you think it’s a great accent or not, is representing Wales on television and the negative press about it such as WalesOnline’s article raises issues about representation. I think this is a case of all publicity is good publicity as it does allow audiences to discuss Wales and how it is represented on television. The most important thing to remember is that W1A is a comedy and the characters are not meant to be entirely realistic. It is made in London and about the BBC in London so I don’t think there is an obligation for a Welsh actress to play Tracey Pritchard. If the programme was about BBC Wales and made in Wales then yes, I would probably question the casting choices but it isn’t. The idioms of Tracey Pritchard such as her catchphrase “I’m not being funny but” are obviously borrowed from other comedy programmes and Welsh characters like Nessa from Gavin and Stacey. Her character is based on familiar, existing Welsh comedy tropes. Personally, I think Tracey and Nessa’s accents and idioms are very similar. I see very little difference between the mannerisms of these characters and how their representations have been constructed for comedy. I’d even say, as someone who has lived in South Wales all my life, that I recognise Dolan’s accent as more accurate than Jones’. I’ve heard more people like Dolan’s Tracey Pritchard than the exaggerated, drawn out Nessa. Comedy is a genre which allows actors and actresses to portray characters that are not meant to be taken seriously. Dolan’s accent in W1A doesn’t bother or offend me as a Welsh person. There are more pressing issues about Wales’ representation on network television that should be addressed than the comedic character of Tracey Pritchard.